This time Charles gave me Mansel’s address, which I used and which elicited Mansel’s diary entry for January 21, 1987. After a few weeks I dropped him another line. Mansel responded by phoning me up in the afternoon of what I now know was Friday, January 29, 2016. I had to explain to him that I couldn’t talk, that I was at my father’s bedside. Moving into another room, I briefly explained that my father had come home to die, a death that was expected to happen very shortly, and that I would phone him back once the funeral was over and I was able to concentrate once more on the PEN project. Mansel readily agreed to this. My father died the next day, Saturday afternoon. He’d enjoyed a pain-free last week entirely on his own terms. At the final breath there were five of his closest family members round his bed, all of whom were grieving to see him go, even though his time had so obviously come. His carer was in the most obvious distress: “Who is going to listen to me now?” she asked, weeping. As for me, although I deeply regretted that Dad wasn’t going to enjoy a ninetieth summer, I knew he’d already had a long and rewarding life, which is the most that any of us can hope for. It was good to talk to you on Friday but I was sorry to learn of your father's state of health. At least you are present to do whatever can be done. Although I feel certain that no contributors to PEN 2 will have had subsequent experiences as dramatic as those of Charles Hills, I feel that there has been an interesting variety in my own writing career since 1987 and, if it is unlikely that you will be in London in the immediate future, I would be pleased to talk about it to you on the telephone in the hope that you would find it useful. Life goes on. That’s what one has to conclude when one reads the reply I sent to Mansel written on Tuesday, February the second, just three days after my father’s death. I guess you were on the lookout for an agent or publisher for No Drum to Beat at the time of the PEN opening. How close did you get to either in the eighties? Why did the publication come about 30 years later? It suggests tenacity on your part. Or perhaps some highly motivated backer made it easy for you. Please reply to this by email if you can. However, my father's funeral is next Monday and shortly after that I expect I'll be ready to talk about the project again, so I'll phone you next week if I haven't heard from you, or if I've more to ask. As I phone Mansel Stimpson, I’m conscious that a fortnight has passed since my father died. Am I going to be able to concentrate on what my co-contributor has got to say for himself? Mansel begins by telling me he always wanted to be a film critic from the age of ten or eleven. And that’s what he has been for much of his working life. While working as a solicitor he wrote a book about his parents. Basically it was a tribute to his mother, but he wasn’t able to begin it until his father died. I resist the temptation to talk about the significance of the death of fathers. That must wait. This first book, Two Reflections, was not published and nor was a second book about the Japanese film director, Ozu. Stimpson only decided to write a third book on realizing, at the age of 40, that he was gay. The experiences he then had with Terry, Mark and John, amongst others, as his new life unfolded, seemed so positive that he felt they could be of help to gays discovering their sexuality, and to people in general whatever their gender or sexual orientation. Stimpson stresses he did not write the book as a form of self-therapy. He secured an agent and the book was nearly taken on by Brilliance Books. One of the partners, the now-famous author Jeanette Winterson, very much liked No Drum To Beat. However, her business partner did not, and as they could only proceed with a publication through consensus, that was that. A second agent also had a go at showing the book to publishers, but nothing came of his initiative either, and Mansel settled for carrying on with his film reviews, which he supplemented with a phase of interviewing musicians. I get the impression that Mansel is particularly proud of this strand of his writing, so I try and take the facts on board. His work on classical music, published first in the magazine What's On in London (now defunct) and subsequently on-line at Classical Source, covered a period of 10 years with particular emphasis on interviews at Covent Garden with singers, conductors, directors and others which extended to around 200 in number. He also published a number of articles on his favorite composer, Benjamin Britten. OK, I think I’ve got that noted. Stimpson did write a dozen or so stories about his subsequent gay life, one of those being ‘A Mouthful of Sushi’, his contribution to PEN New Fiction 2. The story, based on an experience of the gay scene in Tokyo, is exactly what happened in real life, with no fictional component. Mansel tells me that he has no imagination as such, he cannot invent things, and that he writes purely factually and/or critically. I ask how No Drum To Beat found a publisher in 2014. “Purely by chance,” comes the answer. He was invited to the Cinema Museum, Kensington for a lunch organised by the Critics Circle. The museum’s director talked of recent occasions when films shown there had attracted a young audience of gay men who had expressed curiosity as to what gay life had been like previously. Mansel informed him that he’d written just such a book. He was recommended to take it along to Fantom Publishing, which he did. Fantom was a small operation, but the owner was keen on the book and offered to publish it. The Observer itself wouldn’t review the book in its pages and neither would Gay Times or Attitude, who didn’t even reply to Stimpson’s email enquiries. I try to reassure Mansel that his experience is not unusual. A small publisher is not likely to have a good publicist working for it. What you get from a good small publisher is a finely made object. The national press is bombarded with slick press releases and persuasive emails. To get some notice taken of your book, however brilliant, is a tough task. What was Ian Rankin’s key to writing a bestseller? Let’s see if I can recall it verbatim: ‘Luck, attitude, persistence, learning from mistakes, honing the craft, a bit more luck and a bit more, bit more, bit more….’ Something like that, anyway. Mansel Stimpson didn’t have the luck, or the persistence, or the attitude. However, he had enough of all three for his film critic career to succeed. He was published continuously for over thirty years. And as that was his chosen field, this must be thought of as considerable success. From an early age Mansel had been passionately interested in film, and he got to spend a big chunk of his life writing about his passion and seeing his words in print. He hopes that by having spoken to me this will help prevent No Drum to Beat from disappearing without trace. So I’ll just say here that it’s a remarkably candid story of a man whose own sexual orientation escaped him until he was forty, partly because he did not have an image of either a man or a woman in his mind when he masturbated. When he did discover his gayness, this unleashed in him a capacity to love another human being, something that it had proved impossible for him to do up until his epiphany. As I put the phone down and consider all that I’ve been told in the last hour, a couple of perspectives dominate. First, there have been two distinct strands to Mansel Stimpson’s writing life. The film reviews and the book that tells his story of coming out. Which he still wants the world to know about in order to make it easier for other people to know themselves and their options. That more insistent sense of mission sets him apart from the majority of writers under consideration who are fundamentally writing to please themselves. The second perspective that lingers is that Mansel Stimpson is 78. He admits that he has lost energy and suspects there won’t be any more books coming from his pen. Besides, the long and happy relationship he’s enjoyed with his present partner is not the stuff of memoirs. As for the Film Review annuals, each containing hundreds of film reviews, which he’s co-edited for eight years, these have come to an end with the 70th edition, covering 2014-15. Mansel still contributes to www.filmreviewdaily.com which gives him particular pleasure as he does not have a word limit and his reviews appear when they are still of topical interest. My mother had a stroke when she was 78. And my father often told me that people hit a wall at the age of 80. They might keep going for a few years after - and Dad was just two months short of his 90th birthday when he finally succumbed to the cumulative effects of several major ailments – but by the age of 80 anything that is to be achieved in life will have been achieved. Ah, my phlegmatic father. I’m not sure if, when it comes, I’ll be as content as he was in the last decade of his life. But if I can be as kind and as wise and as helpful to everyone who comes in touch with me as Dad was, that will be an achievement in itself. When PEN New Fiction 2 came out in 1987, I was thirty and my father was sixty. He was relieved that some public recognition of my commitment to writing had at last come about. He’d have been horrified to know it would be another ten years before I was published again. At least Dad knew, once I began to be published regularly, a good twenty years before he died, that I had discovered a way of life that gave me fulfillment. I should know about The Swimming Pool Library, but don’t. Time to consult both The Reader’s Companion to Twentieth Century Writers and Readers’ Companion to the Twentieth Century Novel, which were edited by Peter Parker. What could be more appropriate? Parker is a third gay PEN Pal and his chapter is coming up shortly. As Mansel’s diary entry told me, he met Peter Parker in January 1987, the introduction made by C.A.R. Hills. There are all sorts of threesomes that can be made from the 32 PEN Pals. Jeff New, Charles and I are the three state school swots; Charles thinks of himself, Ralph Goldswain and Jeff New as the three awkward sods; but most obviously, Mansel Stimpson, Peter Parker and C.A.R. Hills are the three gay men. I wish that when we spoke I’d asked you about your sense of mission. I think you, with 'No Drum to Beat', may have more of one than many of the other writers, such as myself, who tend to be writing firstly for their own pleasure. Charles has told me that he was much struck by Alan Hollinghurst's Swimming Pool Library. I imagine you have read that book. It is set just a few years after your own memoir. What did you think of it? Do you recall your responses to specific scenes? Of course, you keep a detailed diary and you may have noted your response in that. If so, do consider letting me know what you wrote. In particular what did you think of Hollinghurst's novel in relation to your own work? Can the books be connected in any way, either through specific details (both books largely take place in London) or general themes? Perhaps when you read it for the first time it would have been difficult to get past your own frustration with not being able to find a publisher back then. No, I don't think you would have been that egotistical. Can you recall? Sincere apologies if you have not actually read the Hollinghurst. Of course, Swimming Pool Library is a work of vivid imagination and is essentially fiction. Charles has mentioned to me that Adam Mars Jones was critical of No Drum to Beat, suggesting that it didn't tell a story. Did he not appreciate that a the true story of a 40-year-old's coming out from 1978 to 1980, told without frills and with complete honesty, would add to the canon of gay literature? It must have been disappointing to receive a negative opinion from a fellow film critic so I'm glad that you also got a very positive endorsement from Philip French. I note from the entry on Alan Hollinghurst in The Reader’s Companion to Twentieth Century Writers - which was edited by our fellow PEN2 contributor, Peter Parker, though the specific entry would seem to have been written by Charles - that in The Swimming Pool Library: 'only the attempt to provide a gay history of the twentieth century by flashbacks to the life of an older lord fell a little flat'. Perhaps that comes close to suggesting the original contribution of your own book. Not that No Drum to Beat tries to provide a gay history of the twentieth century. It is very much one man's story. A man who was brought up in the 1940s and 50s and who came out in 1978 at the age of 40. Is there another book that comes close to covering that ground? Perhaps there are some books that talk of coming out in the late seventies, but these are likely to have been written by younger men. Have you researched this? Hoping you are well, Mansel. And that if you have any thoughts on the above you will put them down in an email. That mode of communication works better for me than the phone, where too much valuable info subsequently gets forgotten or distorted! The scene is set at Canford, the public school that Alan Hollinghurst and Peter Parker attended. Well, no, the scene can’t be set at Canford as I’ve never been there and have no idea of its ambience or architecture. Alan Hollinghurst, Mansel Stimpson and C.A.R. Hills are all bobbing about in the pool. I can’t tell what age they are, other than that they are adults. I think they are naked because there are three swimsuits - or what I take to be swimsuits - sitting in puddles of water by the side of the pool. I tell Charles that I can’t stop for a swim as I’m going to the library, which I’ve been told is at the top of the adjoining staircase. I’m going there to consult the annual volumes of Film Review that Mansel has contributed to for so many years. The bell goes, ‘ping’, suggesting that something has arrived in my Inbox. Better see to it. Here is my promised response to your e-mail raising a number of questions relevant to your book. I will take three specific points first before going on to a longer comment related to your query about my possible sense of mission. 1. Since you mentioned The Swimming Pool Library I looked up my diary to see what I had said about it. I had remembered that I was less taken by it than many were including Charles but had forgotten that I reviewed it for Capital Gay. Accordingly my diary notes on it were of the briefest but I was able to refresh my memory by looking out the actual review. I certainly felt that it was breaking new ground in its frankness and was confident that because of that it would be a huge hit with gay readers generally. However, my own feeling was that despite its persuasive authenticity it was too much a partial portrait of gay life in the 80s to please me and accordingly I described it as a work at once disappointing and exciting. The novel represents the outlook of its central 25-year-old character and I felt that he was wholly credible but also decidedly immature. It would seem that I was rather at odds with the view expressed by Charles in the Peter Parker volume since I found that the elderly Lord Nantwich with his love for an African houseboy was a more moving and interesting figure. Linked to this I felt that the fantasy and poetry of the dream sequence in which he is haunted by the memory of his arrest in a cottage was by far the most unexpected sequence in the book and also the finest. 2. As for the subject matter of my own book, I am not aware of other authors attempting anything similar. I have never researched this and am, of course, aware of other writers presenting slices of autobiography but these were often American and the fact that I was dealing with the UK and London in particular over a set few years probably makes it unique and all the more so because of that aspect of it dealing with my extraordinarily late realisation that I was gay. 3. To turn to Adam Mars Jones whose recent book about his father and himself I read with interest, I must correct what Charles has told you. So far as I know Mars Jones has not read No Drum To Beat and what Charles was thinking of was a short story of mine about an encounter between two men, one black and one white. After writing No Drum To Beat I felt that I had no further material for a full length book but took to writing a series of short stories based on real life events whether earlier ones recalled or based on subsequent incidents. It was one of these stories that I sent to Adam Mars Jones who was not favourable to it although he admitted that he could not put his finger on what it was that was wrong with it. This response did, I admit, disappoint me but I felt a certain satisfaction from the fact that his comments seemed to assume that the writer was in effect the black character in the story rather than the white one. In general, however, I am not too disappointed by people being unresponsive to my work but react far more strongly if somebody whose opinions I respect takes a positive view - hence my pride in the comments on my book made by Philip French. 4. This response to your e-mail is already lengthy but is about to become substantially more so since you raise the question of my sense of mission and to explain that clearly involves covering a lot of ground. If you took account of what follows and used all of it the result would probably be to unbalance your book, but you may find it useful to take something from this depending on what the shaping of your book requires. One element relevant to my outlook is the fact that I was an only child born late in my parents' marriage after a sister had been born dead. This meant that I was a particularly wanted child so, although I was probably spoilt, I grew up with a great sense of security. It gave me a confidence in myself and left me without any real sense of being competitive. I haven’t asked other contributors, but I guess many of us are only children (like Charles and Mansel) or oldest siblings (like me). Another important aspect is my religious belief. I took to going to Sunday School with enthusiasm and was confirmed at the early age of eleven. Even as a child I had my own stance on religion since my belief in it derived from an analytical approach. I say that because I felt that if Christ was wrong to believe that he was the son of God he must have been a madman, yet his moral teachings had stood up ever since and were taken seriously even by those who were irreligious. In effect I felt that the balance of probability meant that Christianity was likely to be true although it is only a balance and as I get older my uncertainty probably increases. Many people would say that the horrors in the world are inconsistent with there being a God, but it is humanists who believe that human nature is essentially good and Christianity which regards it as essentially flawed! There is one big leap of faith in that paragraph. But I’ll let it go. Though I should say in passing that no other contributor has mentioned religion in connection with a writing mission. Actually, that’s not true. Charles is a Christian. I suspect that the stress of being in prison has been at least partly responsible for that. I thought Mansel was not competitive due to his being a stable, only child? …But, if that sounds totally egocentric, it is balanced both by the fact that as suggested above this art is the lowest form of art and by the belief which I expressed in a talk at the National Film Theatre some years ago that a film critic is reporting on the interaction between what is on the screen and his or her own sensibility. That means that there is not just one truth about a work but that each critic offers his or her own truth and I believe that if a reader states that they have a favourite critic it is because that critic's sensibility is in line with their own. The final point here is that, however highly I rate my own work, to the extent that I believe in God I regard my ability as God-given and that the only praise that I can claim for it is the fact that I have persisted over the years in utilising this gift. My outlook as a writer is also influenced by my interpretation of the famous Japanese film Tokyo Story by my favourite director Ozu. Of course, like any other writer it pleases me if my work is widely seen which is why I was disappointed by the publisher's failure to promote NDTB. However, the point of Tokyo Story as far as I am concerned is that it illustrates the importance of what might seem to be insignificant. Many critics regard this story of elderly parents visiting Tokyo as being a film about the sadness of life but I have always seen it in more positive terms. It is true that the old couple are disappointed by what they see of the younger generations including their young grandchildren. But there is an exception to this since the widow of the son of theirs who died in the war goes out of her way to take time off from work to show her mother-in-law something of Tokyo. This seems like a very small gesture but the fact is that, with the mother-in-law unexpectedly dying on her return home, the last days of her life are coloured by this incident since, instead of looking back on the visit with disappointment, she is able to remember the pleasure of being with her daughter-in-law. 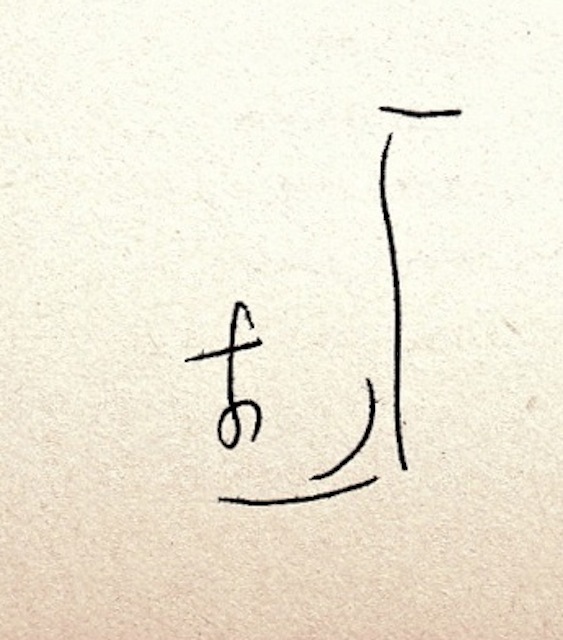 I believe that on Ozu's tomb there is a symbol which somewhat enigmatically is said by the Japanese to represent nothing which at the same time means everything. I have always felt that this also represents perfectly the nothing or almost nothing done by the daughter-in-law which transforms the outlook of her mother-in-law in her last days. In terms of my own work it has left me with the belief that even if what I have done has become meaningful for even a single person then it is worthwhile. I certainly feel in the case of my two unpublished books (the one on Ozu and the one about my parents) that the sense of disappointment that I have relates to the fact that they are not functioning because, despite the satisfaction that I felt in writing them, the purpose in each case was to reach a reader (and the more the better regardless of the lesson of Tokyo Story). In effect this stems from the fact that as you supposed there is indeed a sense of mission behind my work. In the case of the criticism I am one of those critics who gets most pleasure from being able to praise a film and hope that a positive review will encourage people who might not have seen the movie to seek it out. I would be pleased if readers shared my view but I merely offer it as my truth and have no regret if their truth is different. Charles has stressed that my analytical gifts (a feature of my work as a critic and the one thing that links this seemingly very different field with the fact that for some years I worked as a solicitor) have been very helpful to him. But if, indeed, I have at times played a role as his mentor leading him to refer enthusiastically to suggestions of mine that he has taken on board, it is also the case that I have had no regrets when he has ignored my advice since I never wanted him to incorporate into his stories anything that represented what I might have written rather than something that fitted his own vision. Finally with regard to the personal books and the short stories it is the case that all of them were written from a moral viewpoint, not to press home some specific moral but to encourage greater understanding whether that be in connection with the arts or with regard to gay people. I hope that this long response will be of use to you when it comes to what you want to add about me and my work in your book. I'm sure you know the 1968 film The Swimmer directed by Frank Perry and starring Burt Lancaster. Did you review it back in 1968? If so, would it be possible to scan and send me the entry? It could be said that the film concerns a mid-life epiphany of sorts (the swimmer thought he was wealthy, married, loved; he comes to realise he is, in fact, broke, abandoned by his family and alone) and I wonder if how you would respond to that film now would be different given your own mid-life change. As you say in your most recent email, a film review depends both on the film being seen and the sensibility of the person doing the viewing. It may be that your experience in 1978 changed your sensibility in certain respects? Forgive me if that parallel - moving from a beautifully realised 90-minute film to a single glib paragraph - is annoying. The imagination, though a key to creativity, is a faculty that has to be used with discipline and restraint! Anyway, I suppose I'm suggesting that a film like The Swimmer is using flexible and universal imagery. And yet the viewer needs an imagination in order to go from the specific story to a universal one. And indeed may get to the universal story via the creation of a personalised version of the story. Does that ring a bell with you? I’ve come to realise that Mansel will patiently answer in detail whatever I ask him. I feel this exchange could usefully go on forever, though perhaps it would be even more useful if it could be brought to a conclusion quite soon. What I am about to write about "The Swimmer" does, I think, confirm what I have said about having no imagination. When the film first appeared in the UK it was denied a circuit release as being too uncommercial. I eventually saw it at the Everyman Cinema in Hampstead in 1969 when they offered a series of films that they felt had been underestimated and it is the case that this title has gained a reputation as a kind of cult movie over the years. However, I have only seen it the once and that was at a time before I was having reviews published regularly so I can't send you a copy. But I do have a full review written in 1969 in one of my many exercise books in writing that I alone in all probability can understand! I rather liked the film although I described it as being just close enough to realism in its styling to make some audiences dismiss it as screwy. I saw it as an allegory which initially satirised materialism as illustrated by the ownership of all those pools so that the swimmer with his physique and energy seemed a symbol of youthful endeavour. However, as the film goes on there is more and more a sense of him being somebody who is living in the past or in his own imaginary world rather than in the real world and he can be seen as a man who has failed to grow up. In a flash, I see my own PEN Pals project in these terms. Me as the swimmer, moving from one contributor’s pool to the next. Am I, then, the man who has failed to grow up? As such I felt that it was not an actors' film (although I was certainly impressed by Janice Rule) but a work that depended for its effect on the personal allegorical content. Like many such an endeavour, I thought that the exact meaning of the allegory remained unclear, but I did describe it as a genuine oddity, an honest work rather than some contrived clever notion merely setting out to be different. That’s PEN Pals. An honest work rather than a clever notion that set out to be different. At least I trust that is the case. As for imagination being brought to bear by me as the spectator, it would not have occurred to me to consider a different ending from that on offer. Although the screenplay was by Perry's wife, "The Swimmer" does derive from a short story by John Cheever and in view of his sexuality to look for a gay element would not be unreasonable. But I would not have known that in 1969 and I don't think that it would come to mind now if I saw the film again because I take on board what is there (how do I interpret that?) and not what is not there but might have been. In other words, no imagination comes into play and I have always been convinced that I could not write fiction (all of my short stories have been essentially factual, even if occasionally I rounded off the tale with some apt ending). Can one interpret without using one’s imagination? Perhaps one has the choice of whether to interpret with imagination or not. Logic attached to a sensibility can only take one so far. At least that’s what I’ve always thought and practiced. See Personal Delivery for that philosophy writ large. To conclude this subject I could just add a comparison by reference to a new film which is opening soon, "La La Land". I liked parts of it very much but thought that it went off the rails despite having won golden opinions at festivals. In particular I knew exactly how in my opinion the finale should have been handled to achieve both the emotional impact indicated by the storyline and the sense of sheer pleasure provided by musicals. But that was not a question of imagination: it was my sense of structure which told me that what was on the screen messed it up and missed its aim which could have been achieved if reorganised. I know what Mansel means by sense of structure. By calling on that, I have altered several of the chapters in PEN Pals. For instance, after summarizing the various sections my imagination had come up with for chapter ten, which revisits the launch of PEN New Fiction 2, I realised it made more sense to alter the order of scenes so that I was first utilizing Suzi’s copy of the book, and only after squeezing that dry, turning to Mansel’s diary entry, and only after thoroughly milking that, introducing Ian Rankin via his diary entry. That is all that I can add at this stage, but if you have any other questions after rereading my recent email please let me know. As I’m about to pull myself out of the pool, leaving Stimpson, Hollinghurst and Hills down the other end, throwing a signed first edition of The Swimming Pool Library (Is it Swimming Pool Library or No Drum to Beat?) back and forth between each other, I realise that my own book should perhaps be called POOL Pals. Did I misbehave in Mansel Stimpson’s swimming pool? I’ve pissed in no-one’s swimming pool so far, and haven’t felt the slightest urge to do so. Though Bill Thompson reckons I let myself down in his. My time in Wendy Brandmark’s pool ended in a water pistol fight between several PEN2 contributors. But that was high spirits. It was a hoot. As I haul myself out of the water, I hear a hardback-sized splash close behind me (I knew Charles was going to do that!) but I don’t look round. POOL Pals is all about self-discipline (keeping a close check on my imagination) and keeping on keeping on. Whose pool next? Peter Parker’s is the one that borders Mansel Stimpson’s. And that’s where my bare feet, glistening with warm, translucent water, are taking me. One splish at a time, dear reader. One splish at a time.